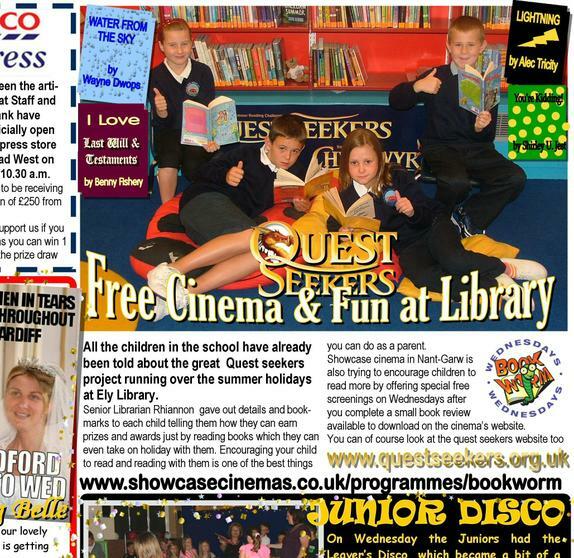 We are really lucky to have such a go ahead local library in Ely. 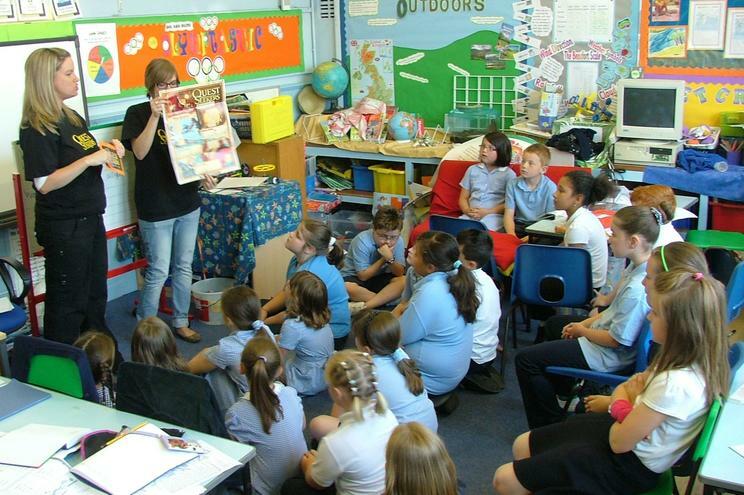 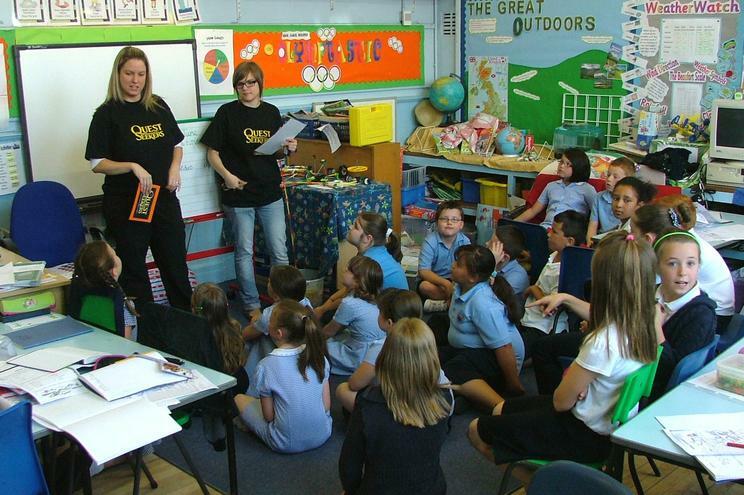 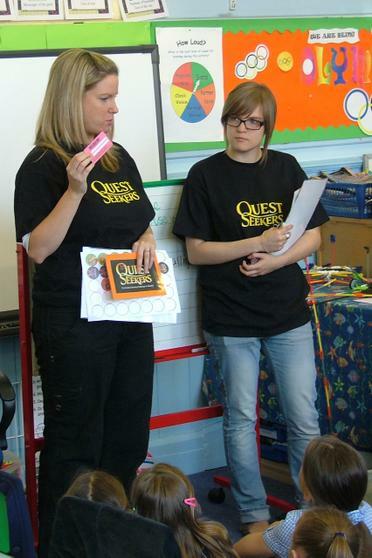 Senior Librarian Rhiannon and colleague Kate visited each class in every school in the area in June to tell all the children about the scheme & summer activities at the Library. 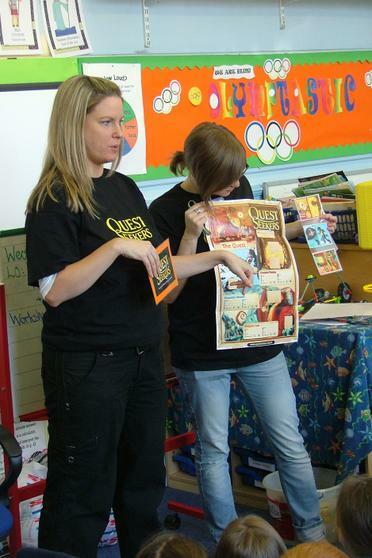 They also handed out forms and bookmarks to each child. 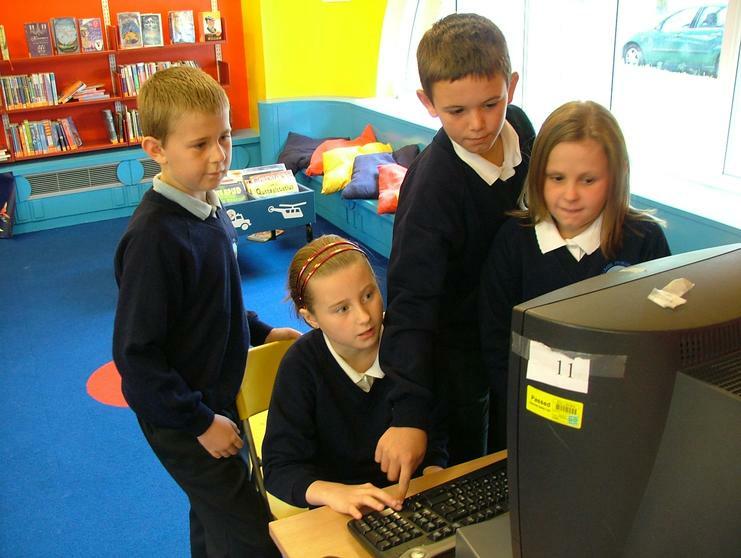 Like all the staff they are friendly and keen to help all users at the library. 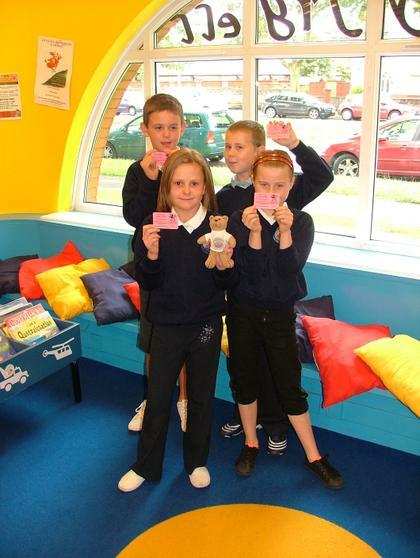 The scheme is simple enough the children register at the Library using their library card they then receive a special 'magic moving image' membership card. 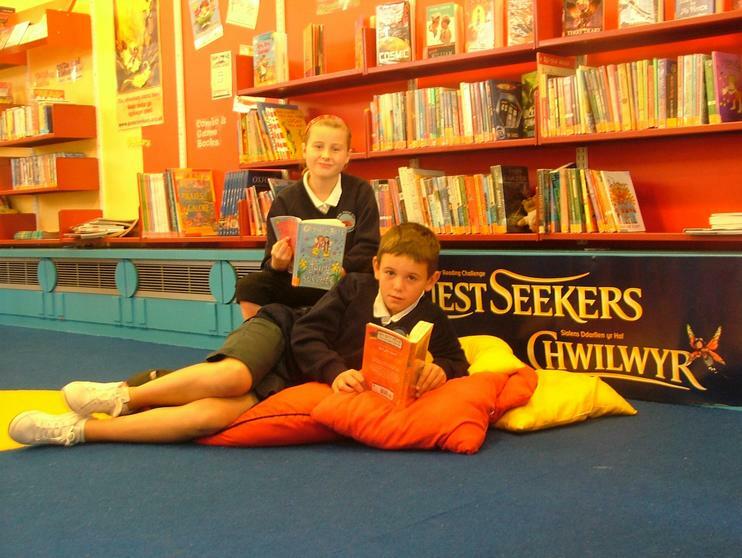 They then have to read six books of their choice over the summer holiday. 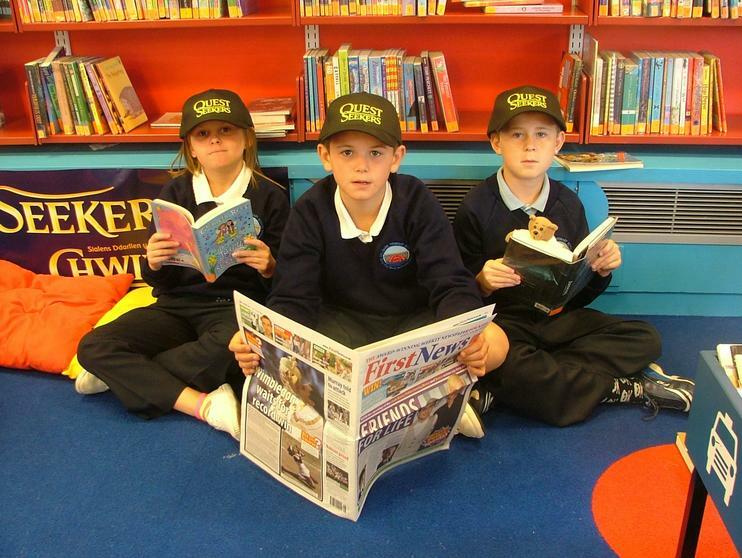 As they progress they collect 'rewards' such as pencils stickers etc. 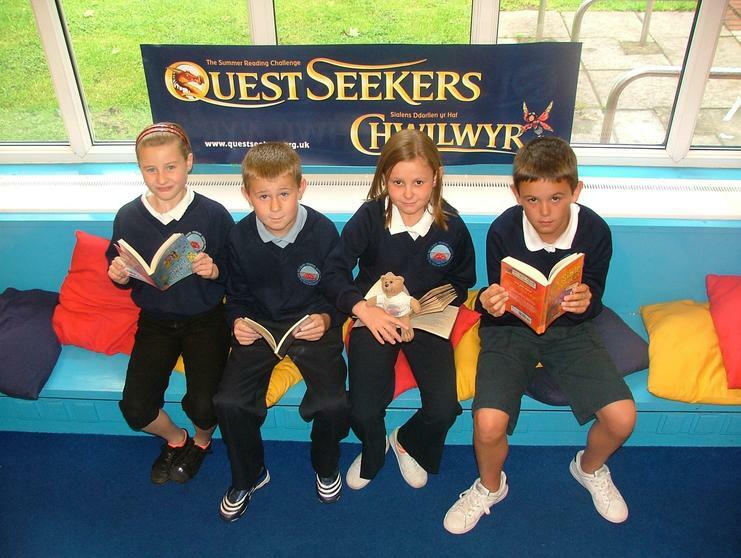 If they complete the challenge then they will also have a certificate presented to them back in school. 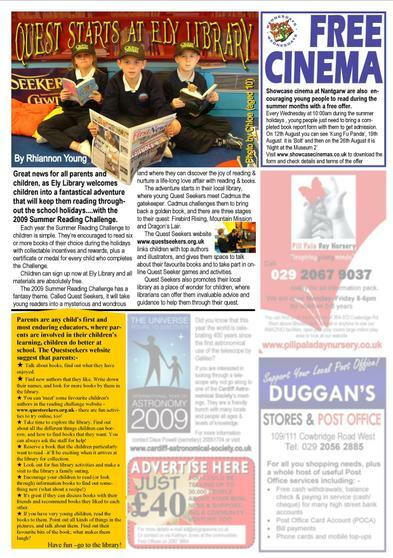 Of course they can take books away on holiday and given the weather forecasts this might be a handy distraction. 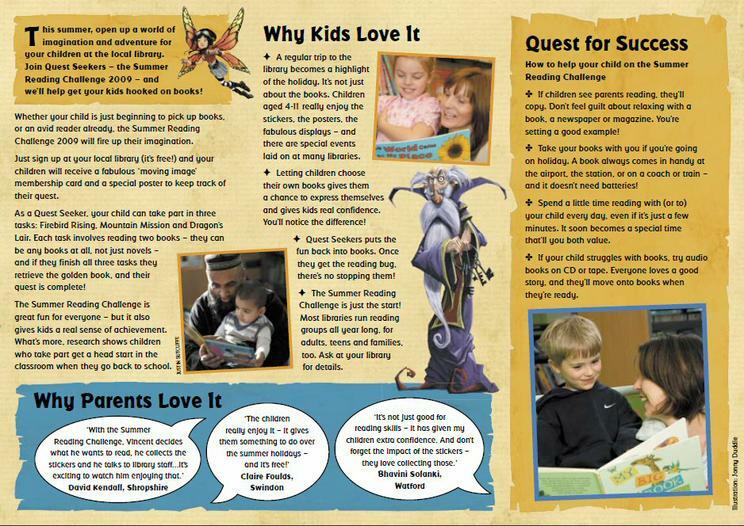 Whilst we all want to challenge children so they perform at their best the scheme is all about fun and showing that Libraries are wonderful resources for families. 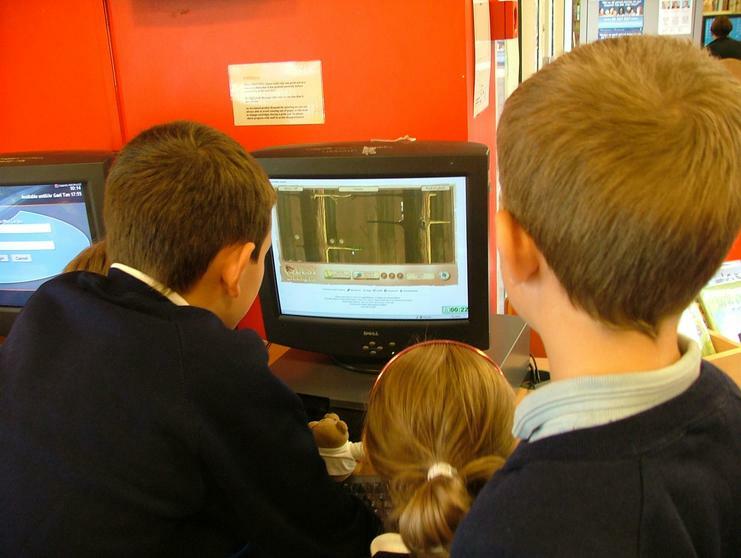 Many parents may still think of them as dry dusty places of long ago rather than a fun -and cheap- day out for families. 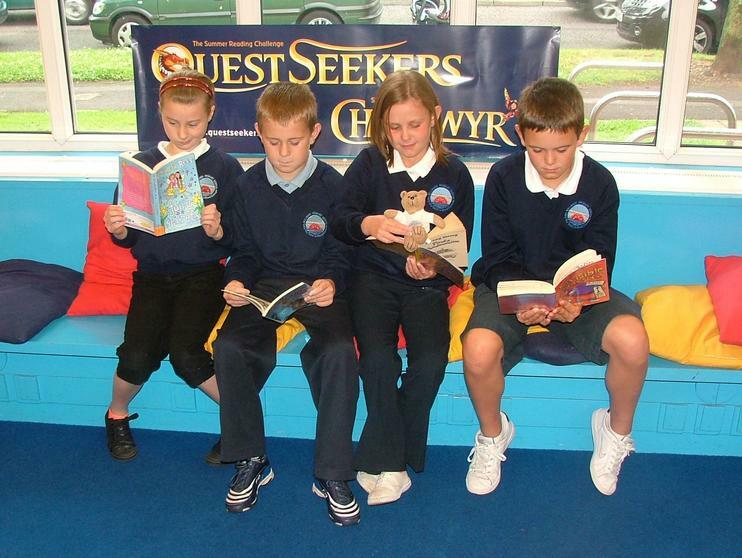 Or that reading is a chore or task to be avoided rather than fun and an enjoyable activity. 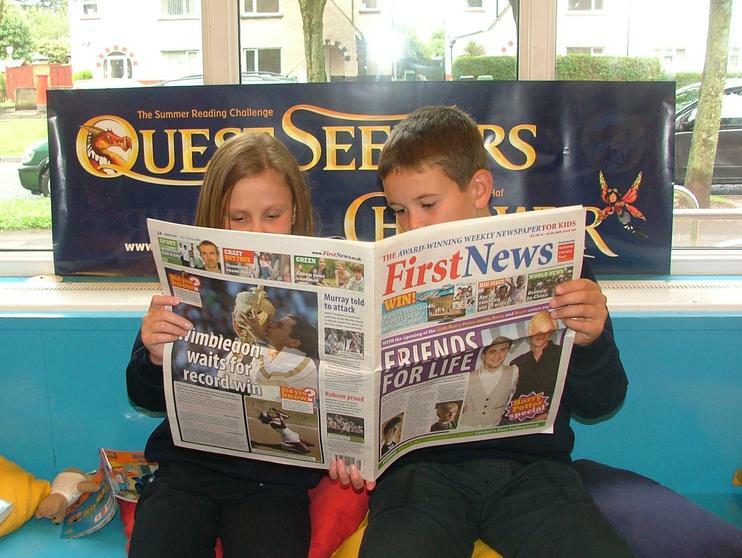 Your children do not have to start reading War & Peace just yet they read what they want to it might be a football magazine, a book on keeping pets or another interest your child has. 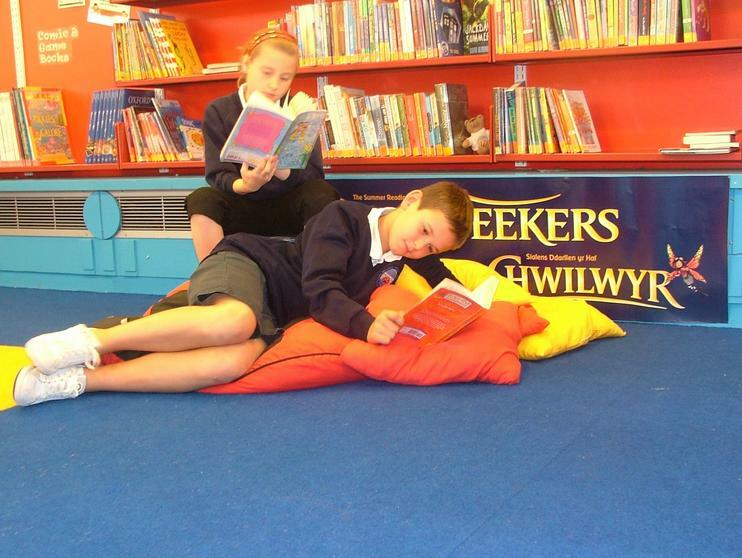 Reading with your child is one of the simplest ways to encourage them and will help them improve their own literacy which is a key skill unlocking their full potential in other topics too. 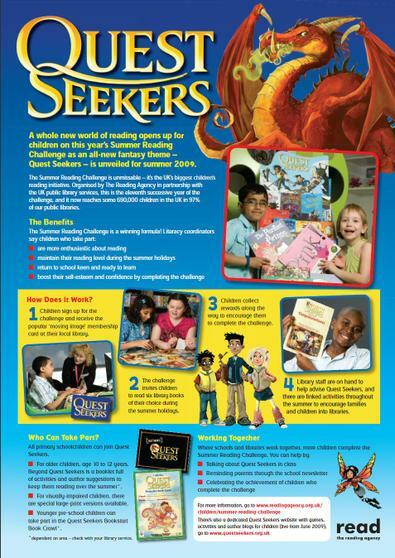 "You can join Belle, Louis and Raj – the Quest Seekers – in their search for the golden book at your local library. 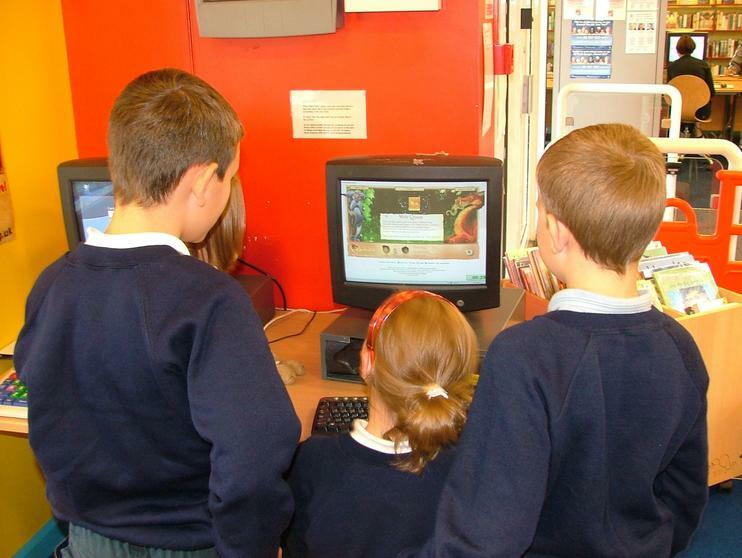 And here on the website, we also have a quiz, author blogs, jokes, messages, and some top tips from the Tree Folk (they're friendly library staff) to help you make the most of your quest"
Parents might find the resources here are more useful in helping them understand what the scheme is all about. 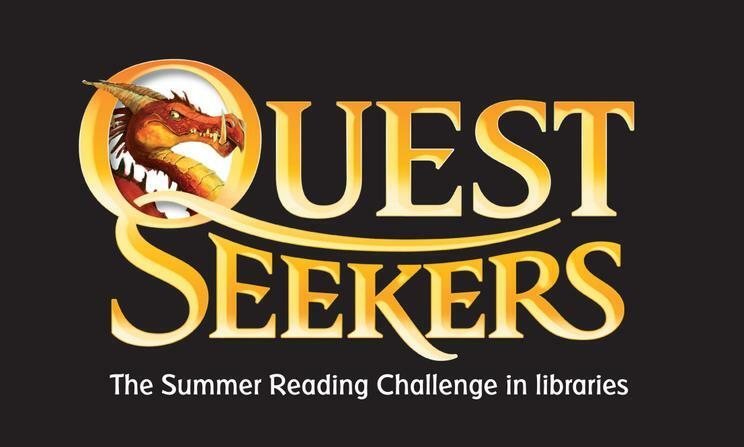 Of course the best thing to do is ask the Library staff who will be happy to help you. 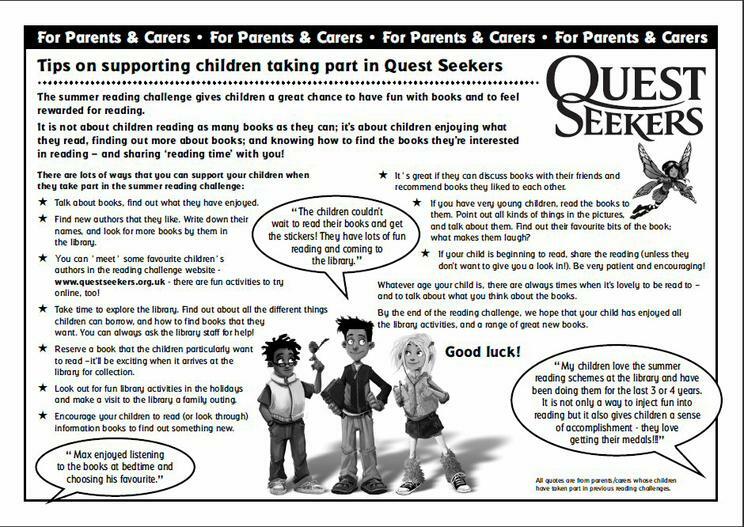 There are special leaflets for parents available. 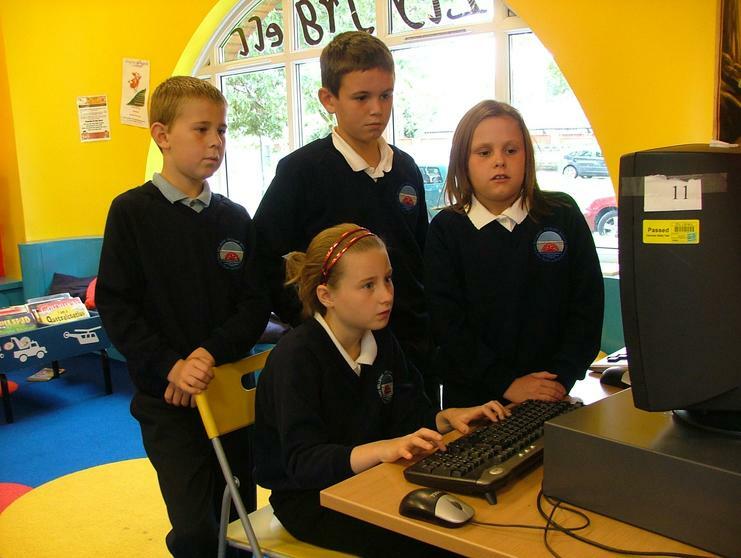 Even if you do not have a PC at home or big brother or sis will not let anyone else use it, then the Library can help you there too and have several available for use! 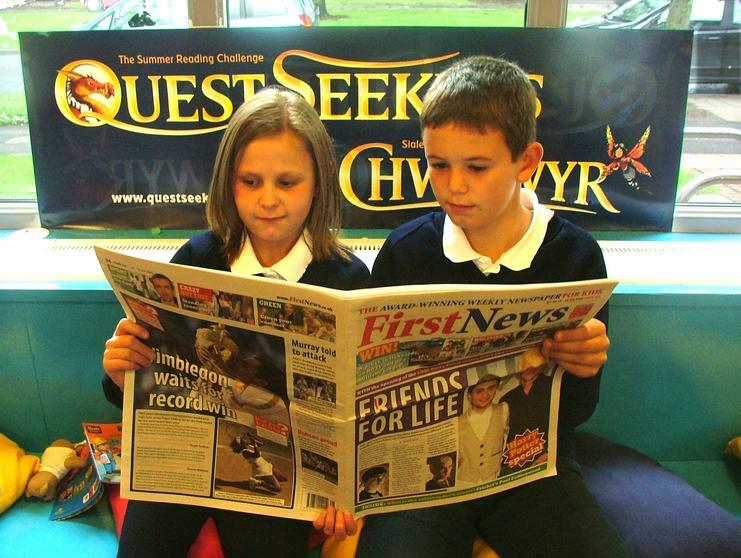 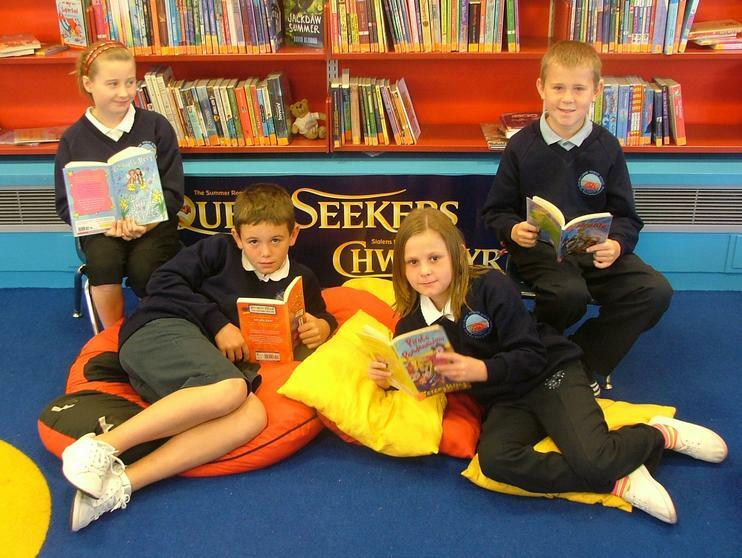 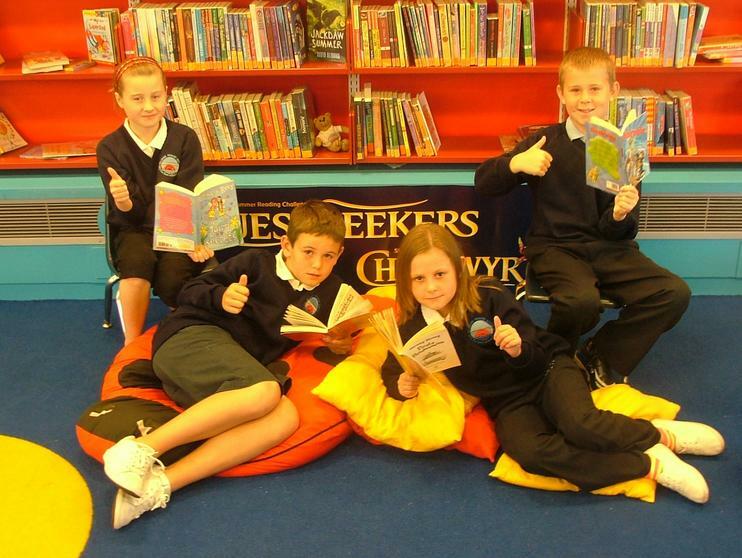 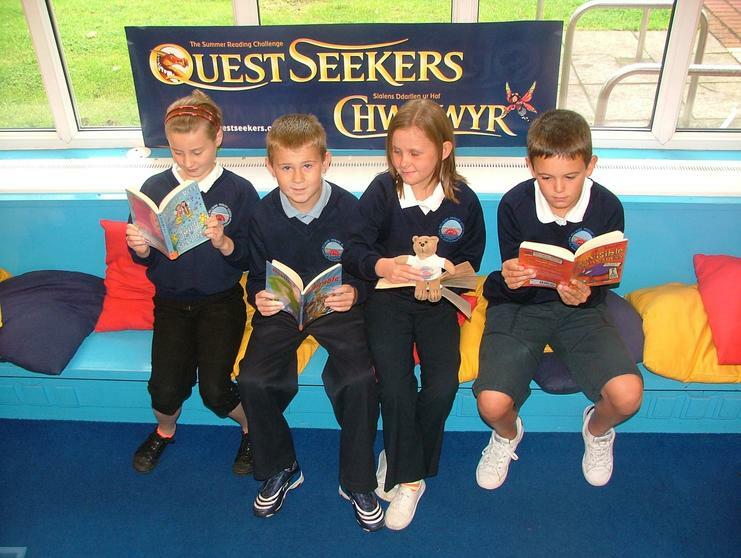 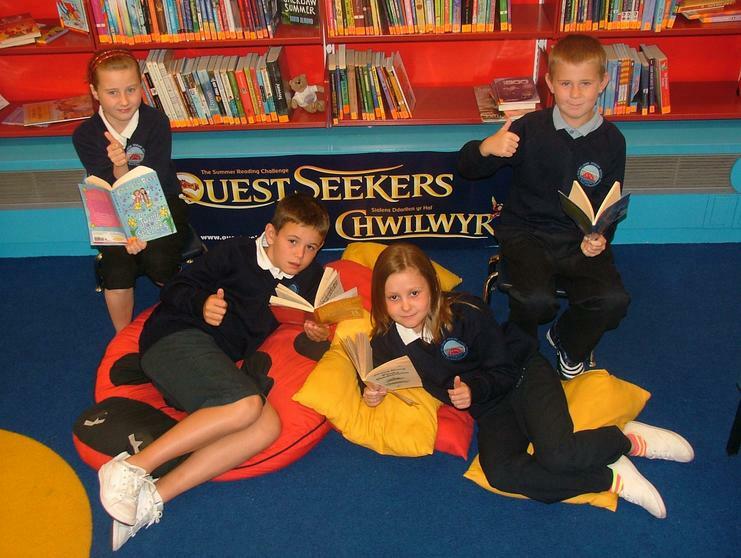 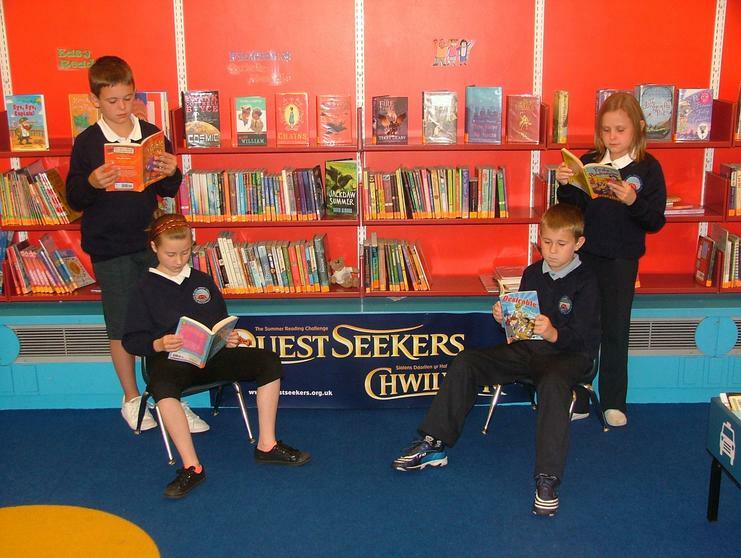 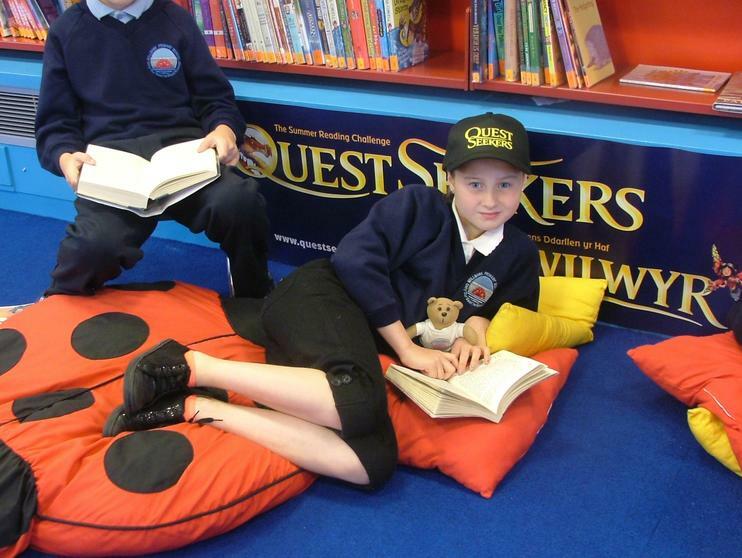 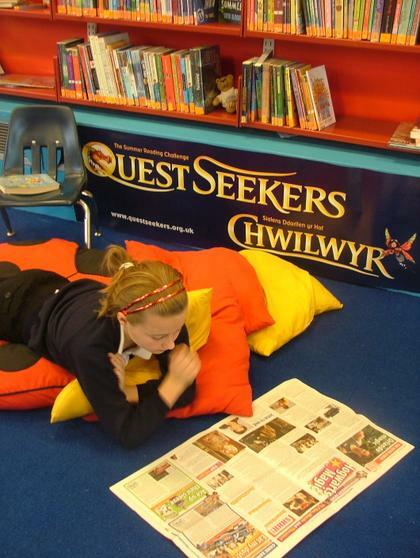 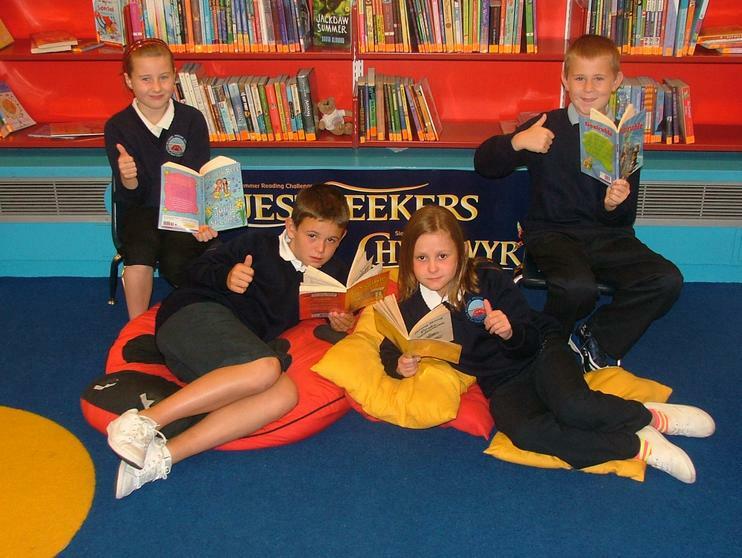 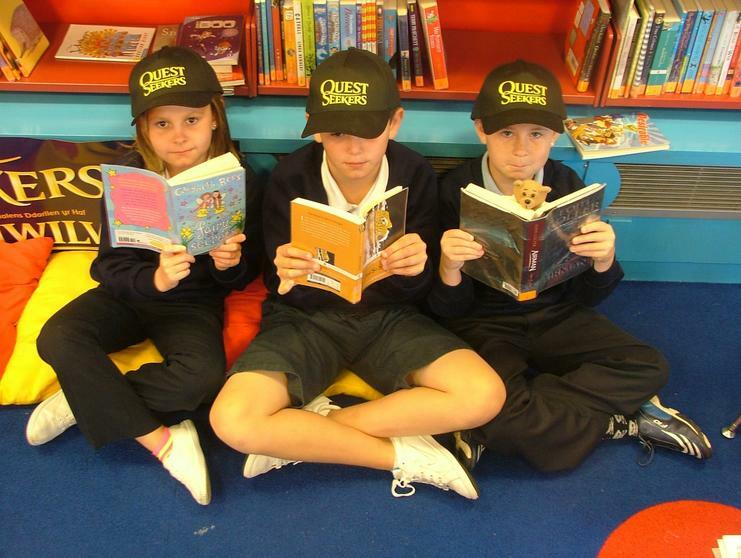 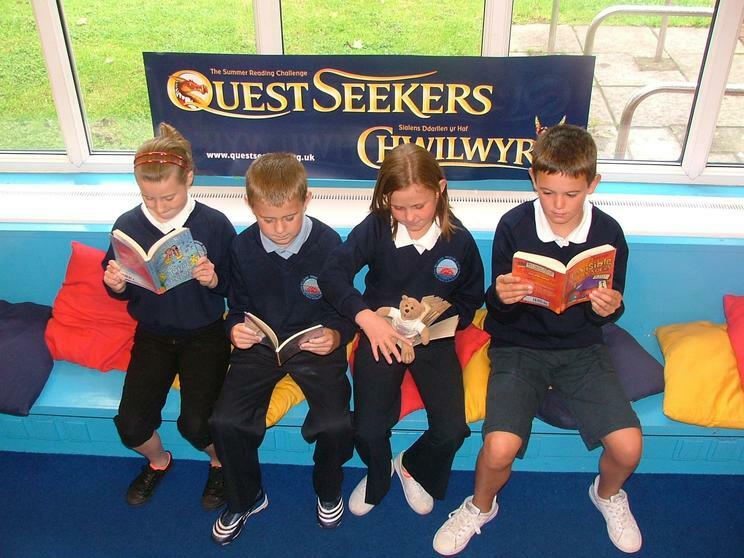 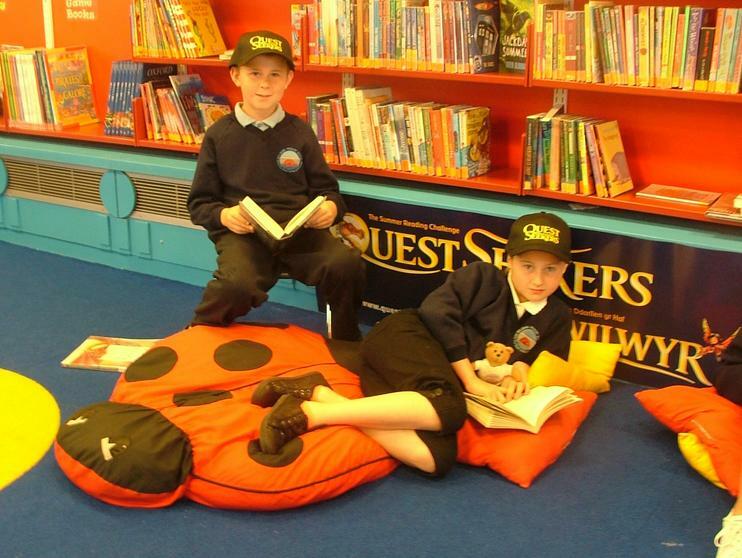 If your child is not yet at school then they can still take part via the Book start Book crawl and older brothers and sisters who have left Primary can take part via the 'Beyond Quest Seekers' booklet. 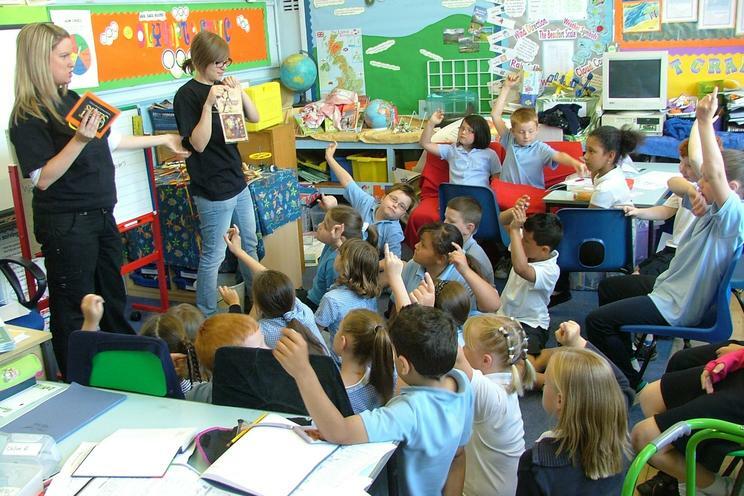 Some schools use this as one of the many transition projects between Primary and High Schools. 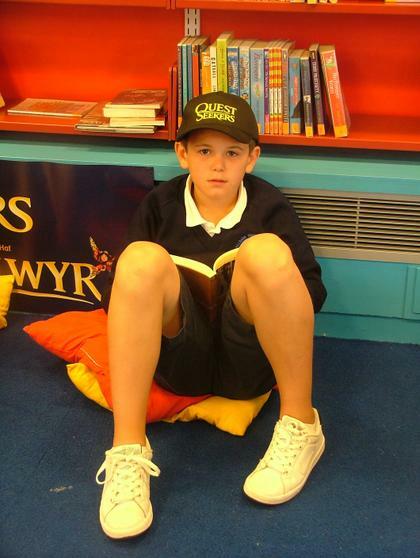 The pictures taken here were done by members of Class4/dosbarth Laura Ashley in Camera club. 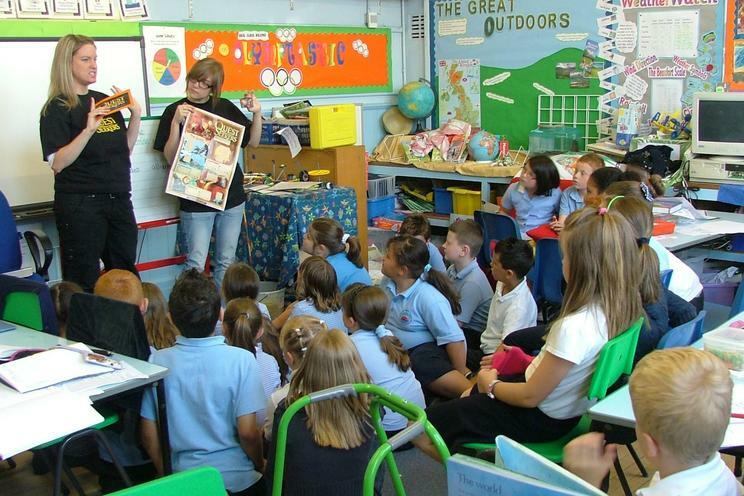 They used the old camera set up the shots tried different angles, different props & Lighting. 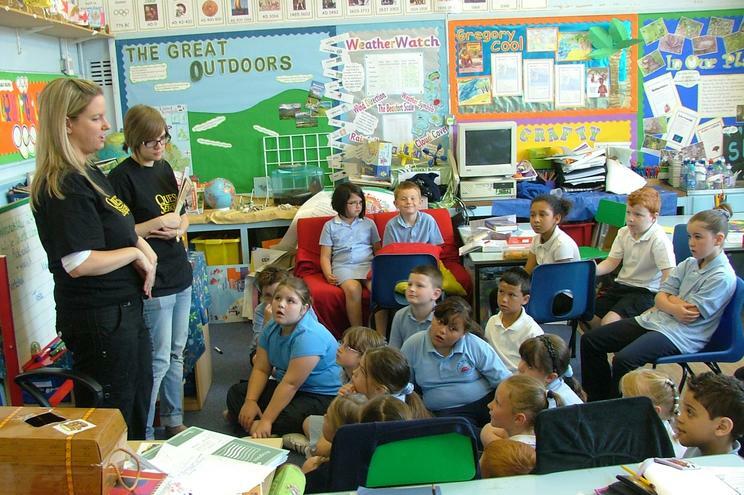 They also had Millie our mascot in most shots can you spot her? 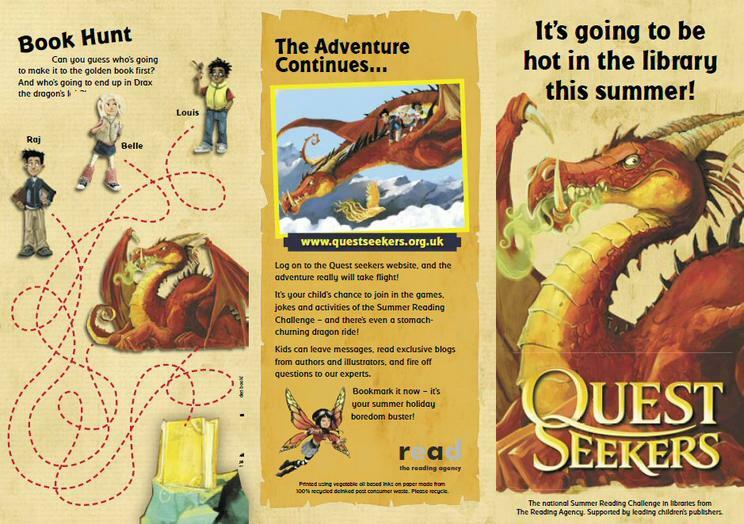 We think that they took some great shots and illustrated the scheme very well. 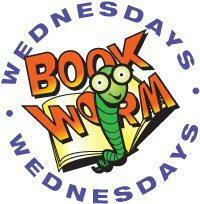 Completely separate from the Reading Agency's scheme is a scheme called 'Bookworm Wednesday' operated by Showcase Cinema. 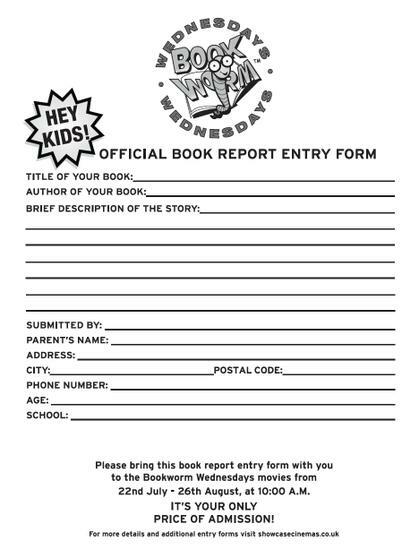 Just read a book, complete the application form and take it along to the cinema at Nantgarw on Wednesday at 10am throughout the summer to see one of the selected films. 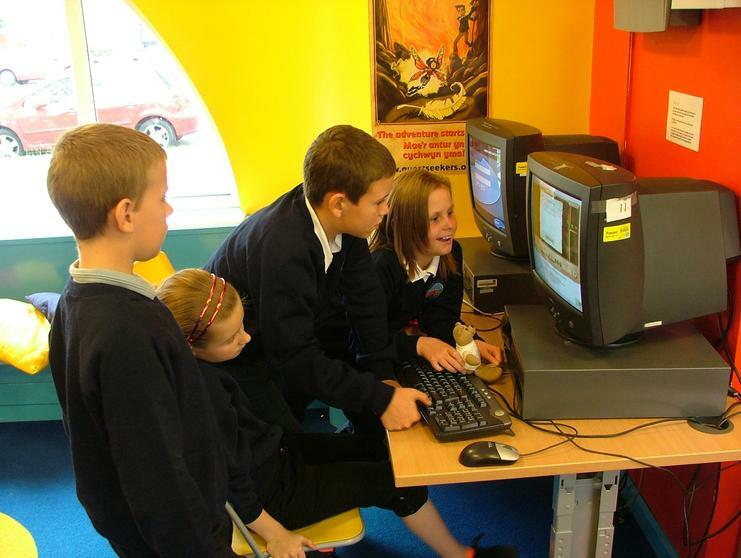 On 22nd July 'Beverly Hills Chihuahua', 29th July 'Dragonball Evolution', 5th August 'Monsters vs. Aliens', 12th August 'Kung Fu Panda', 19th August 'Bolt', 26th August 'Night at the Museum 2'. 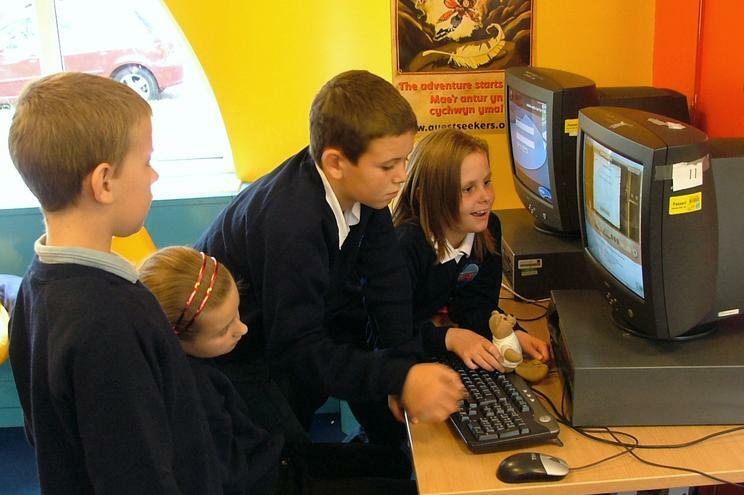 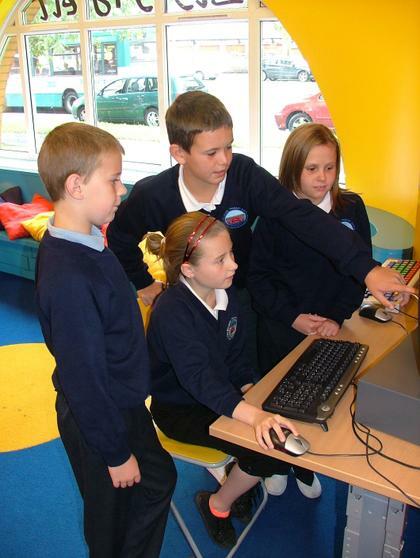 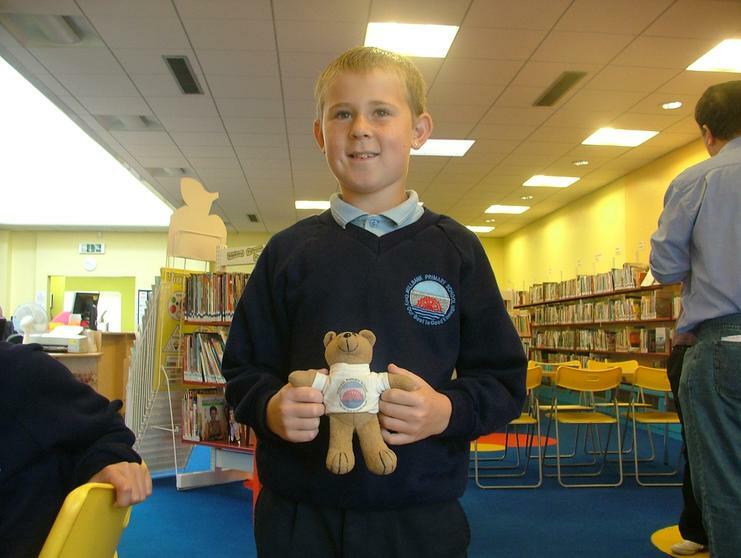 Alas the council lost the first 4 years of our website in which you can see the children taking part in previous years but there are some photos from 2006 of the children taking getting their awards for completing the summer reading challenge which had a spy theme.